How to make a crystal grid for psychic development. A crystal grid is the PERFECT way to harness the powers and benefits of individual crystals. You don’t have to go far to convince me to use crystals in more ways. Not only are they gorgeous to look at (seriously, have you seen amethyst crystals?! ), but they are also chock full o’ benefits. So regardless of if you’re just dabbling in the world of crystals, or have been a long-time resident, making a crystal grid should be at the tippy top of your to-do list… Especially when it comes to psychic development. A crystal grid is when you place a group of crystals in a pattern with the intention of accomplishing a certain goal. Every individual crystal brings a unique benefit to the table. So a crystal grid harnesses allllll those benefits “two-is-better-than-one” style. :) The union of already powerful gems is the key. In this post, we’re chatting about using a crystal grid for psychic development. But they can also be used for warding off nightmares, increasing sleep, boosting spiritual connections, and more. The most important thing in crystal grid making (and psychic development as a whole) is following your intuition. So, as you’re making your crystal grid, be sure to LISTEN your intuition when it comes to the stones, layout, and location. A crystal grid is super personal — so make yours custom fit to you and your intentions! Using the intention of increasing psychic development, start to envision your crystal grid. What kind of layout do you see? Is it a spiral? A medallion? Or maybe it’s a geometric shape! Allow your mind to wander here, and go with what feels right. Once you’ve settled on your layout, you’ll need to figure out which crystals to include. While every part of this process is fun — this is my fav. Some metaphysical shops (online and not) offer crystal grid kits that include a variety of stones. You can go that route, or simply choose crystals based on your intention and intuition. If you’re buying crystals online, visit a reputable shop with great energy… like my favorite, Energy Muse*. Now that you have your layout and crystals, it’s time to think about where you want your crystal grid to live. While you can build the grid on a moveable platform (like a piece of fabric or cardboard), I like building them directly on the ground. I find it increases the connection to the earth. For psychic development, try placing your crystal grid under your bed. Receiving the crystal grid’s energy while you sleep will increase your psychic development, intuition, and dreams! You can also try placing a crystal grid near where you meditate for a deeper connection. Before you start laying your crystal grid down, cleanse the area and crystals with sage or rose essential oil. This gives you a fresh platform to build on and ensures there’s no residual energy on the crystals. Use your freshly charged crystals to start laying out your crystal grid. As you build, be sure to keep your intention in the front of your mind. Focus on increasing psychic development the whole time you are lying your crystal grid out. Lay all of your stones out, and select the outermost crystals first. Working from the outside in, begin to develop your crystal grid for psychic development. As you get close to completing it, select your center stone. 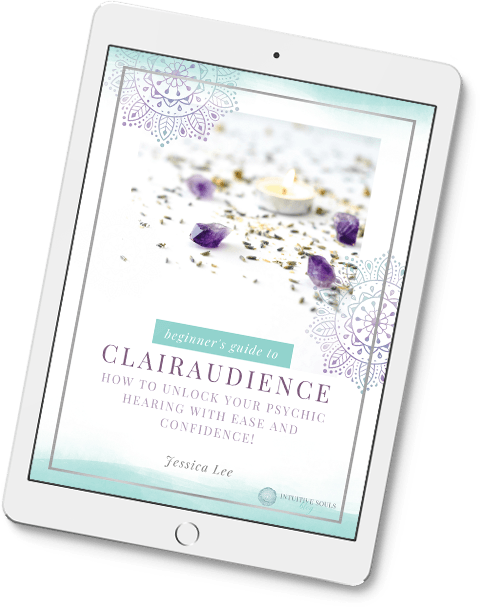 You can choose it based on its unique energetic properties or simply use your intuition – either one! Some people like to write their intention down, place it in the center of their grid, and then place the center crystal on top of that. You can do this if you want, or simply place the final center crystal down! Now that you’ve finalized your crystal grid, take your quartz crystal point and draw an invisible line between each crystal. Now that you’ve created your crystal grid for psychic development, don’t forget to keep holding your intention in your heart. And, as you continue on your journey, take note of the boosted results! Pro tip: If you start to feel like your crystals need some TLC, dig out some rose essential oil! It will recharge and cleanse them.